A major figure in German Idealism, early 19th century philosopher G. W. F. Hegel developed a comprehensive philosophical framework, referred to as "Absolute Idealism" which sought to describe the relation between mind and nature. Underpinning the framework of this philosophy is the assertion that in order for the human consciousness to understand the world at all there must be in some sense an identity of thought and being. 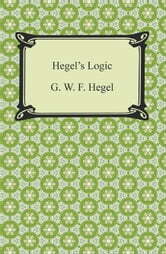 "Hegel's Logic" or part one of the "Encyclopedia of the Philosophical Sciences" is an abbreviation of Hegel's earlier "Science of Logic". It is a work in which Hegel presents the categories of thought as they are in themselves; they are the minimal conditions for thinking anything at all, the conceptions that run in the background of all our thinking. In Hegel's philosophy no amount of observing will bring us to the essence of things, instead it is the articulation of the "Geist", or spirit, in other words, the activity of thinking, that gives definition to the nature of existence. 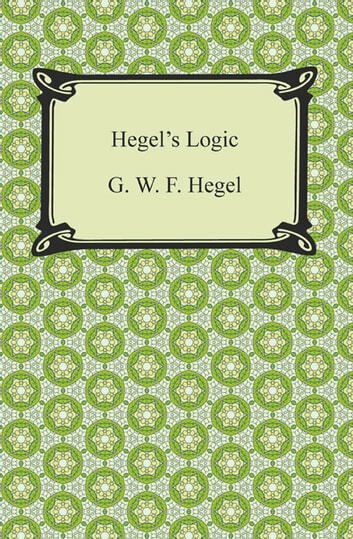 The analysis of Hegel's philosophy often results in contradictory interpretations which is illustrative of the complexity of his works as he wrote with the assumption that the reader was well versed in the works of philosophy that came before. Hegel wrote the "Encyclopedia of the Philosophical Sciences" with the intention of it being a more accessible entry point to his philosophy.